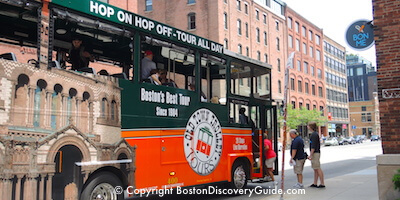 Boston hop-on hop-off trolley tours . . . you'll see them everywhere around the city's top attractions and historic neighborhoods. Part transportation and part sightseeing, the colorful trolleys offer you lots of fun while giving you the easiest way to tour Boston at your own pace. The conductors will entertain you with lots of stories about famous sites and local characters as you drive around the city's fabled historic areas. See interesting places you want to explore along the way? Just hop off - and then hop back on again once you're ready. You can do this as often as you like while your trolley pass is valid - typically for one or two days. 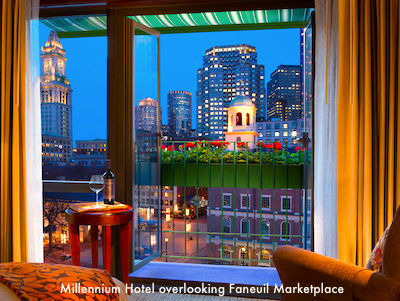 If you're visiting Boston for the first time , there's no better way to get acquainted with our city and all it offers. And if you've been here before, you know there's nothing more fun than getting around the city on these comfortable trolleys. "I LOVE trolley tours - and when you're visiting Boston in the rain with your 5-year-old and 13-year-old, the trolley takes you everywhere you want to go AND provides plenty of entertainment for all ages. MUCH easier than the taking subway - and a lot more fun!" 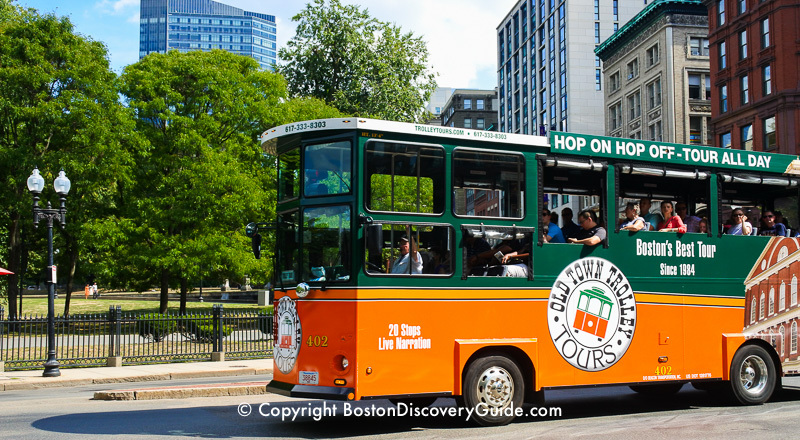 Two trolley companies - Old Town Trolley Tours and City View Trolley Tours- offer hop-on hop-off tours in Boston. 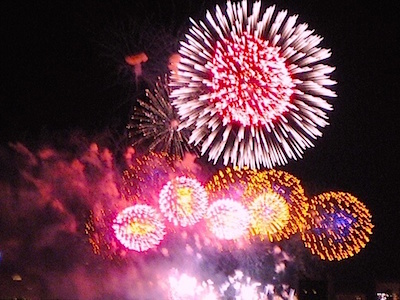 You'll get a similar sightseeing experience from both of them, but with some key differences. You can get off and on the trolleys as many times as you please. 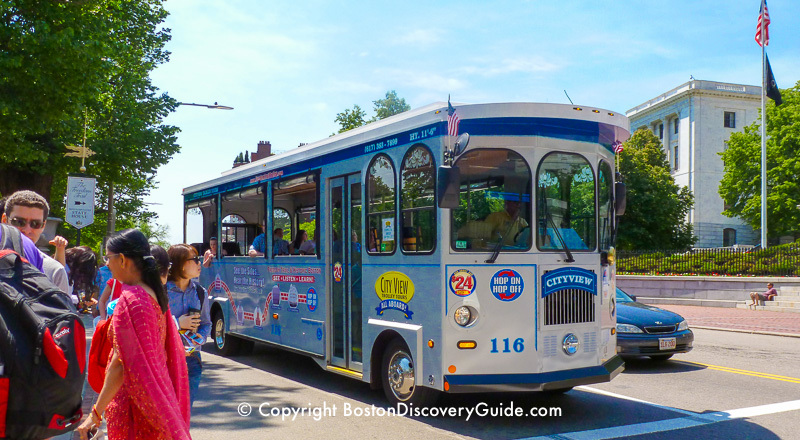 Both trolleys cover a core historic route including Freedom Trail sites and other top attractions such as the New England Aquarium, the Children's Museum, Paul Revere's House in the North End neighborhood, and the USS Constitution ("Old Ironsides") in Charlestown. Both trolleys operate during a similar time period (9am-9:30am to 4pm-5pm), based on the season, and pick up/drop off at each stop at intervals of 10-30 minutes, depending on the season and traffic conditions. Both trolleys throw in "freebies" - free maps, discount coupons for other attractions, and perhaps free admission to other top attractions when you buy online. Routes and stops: In addition to the core historic route, Old Town Trolley Tours take you to Fenway Park, the Victorian Back Bay neighborhood, the Seaport/South Boston Waterfront, and even into Cambridge near MIT, making a total of 19 different stops. In contrast, City View Trolley Tours covers only the core historic route, and makes only 9 stops. Length of narrated tour: 1 hour, 50 minutes for Old Town; 45 minutes for City View. Cost: Old Town tickets usually cost more because the trolleys take you more places and makes more stops; City View tickets usually cost less but cover a smaller area and make fewer stops. Bottom line: both tours offer excellent value so choose the best fit for you. Discounts & Savings: You will usually find the best prices, promos, and deals (such as 2 days for the price of one, or free admission to other top attractions such as the Boston Tea Party Ships & Museum and a Boston Harbor cruise when you buy your tickets online. Arriving on A Cruise Ship? Old Town Trolley Tours offers a stop in Seaport near the cruise ship Port of Call for easy "hop on" convenience. Find more information here. No need to worry about bringing a map, because your trolley driver will give you one. In addition to showing all the stops, you'll also see lots of other attractions to explore around each stop. Sunscreen - Boston sun can be strong, and there's lots to explore on foot near each stop. Water bottle - Especially if you're visiting in the summer, stay hydrated! Comfortable shoes for walking - Many interesting attractions, including several of the Freedom Trail sites such as the historic graveyards, are 2-3 blocks from where the trolleys can stop as Boston's narrow winding streets in the older historic areas don't allow them to get closer. Fenway Park Tour - Show your teens where the Red Sox play!